Fortuna Single Blade cutting machine is constructed by C. I. casting structure consisting of Bridge, Slides, Pulleys and Housings. 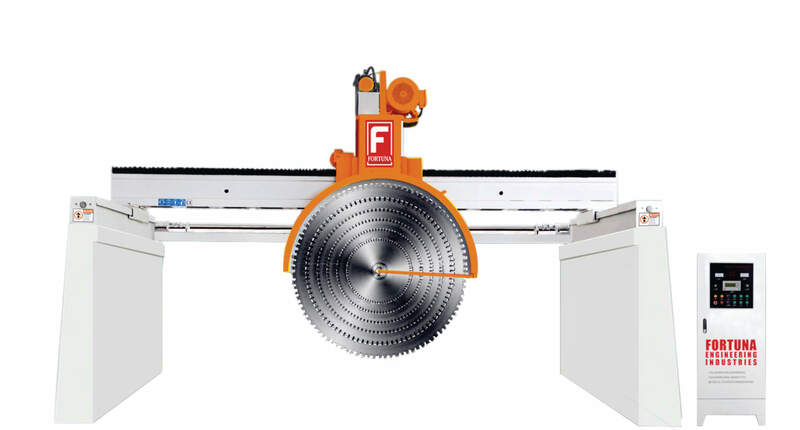 Single blade cutting machine linear motion is provided by Linear Motion Bearing guide ways. High precision Gear Box is used for vibration free cutting. Fortuna Multi Blade cutting machine is constructed by C. I. casting structure consisting of Bridge, Slides, Pulleys and Housings. 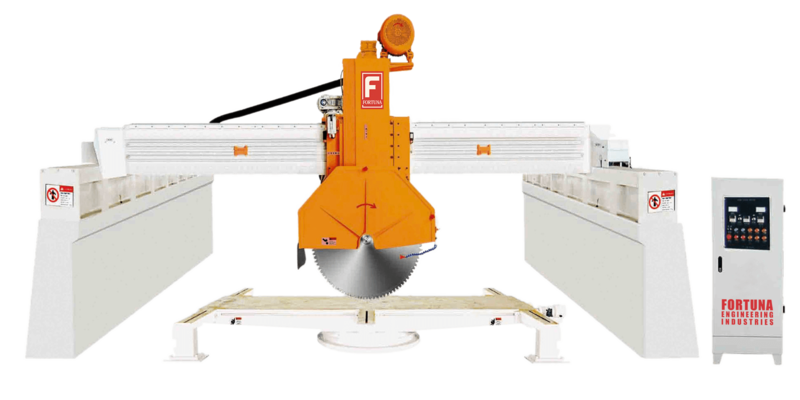 Fortuna 5-9 Blade Block cutting machine is provided with ball screw up-down system for more smooth running and maintaining uniform slab thickness.